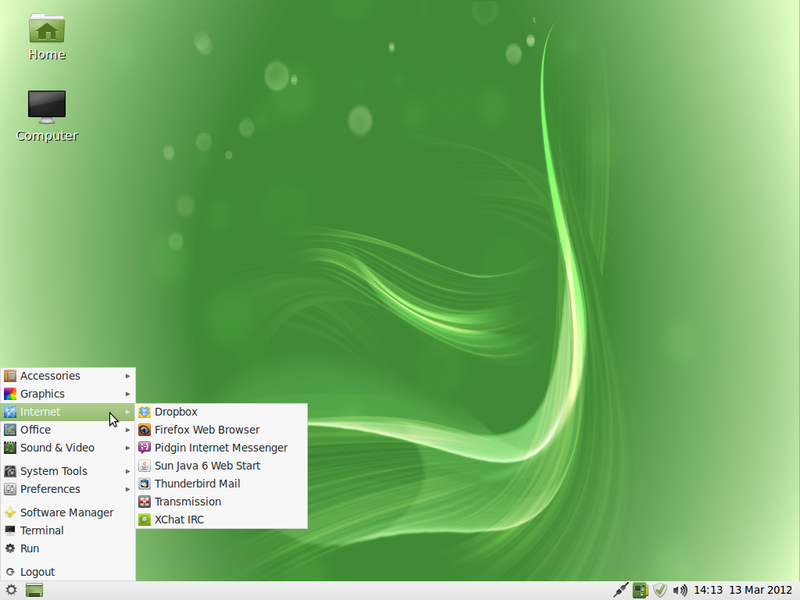 Linux Mint LXDE is the edition of Linux Mint, a distribution based on Ubuntu Desktop, that uses the Lightweight X11 Desktop Environment (LXDE), which, as the name suggest, is very well suited for computers with low hardware resources. 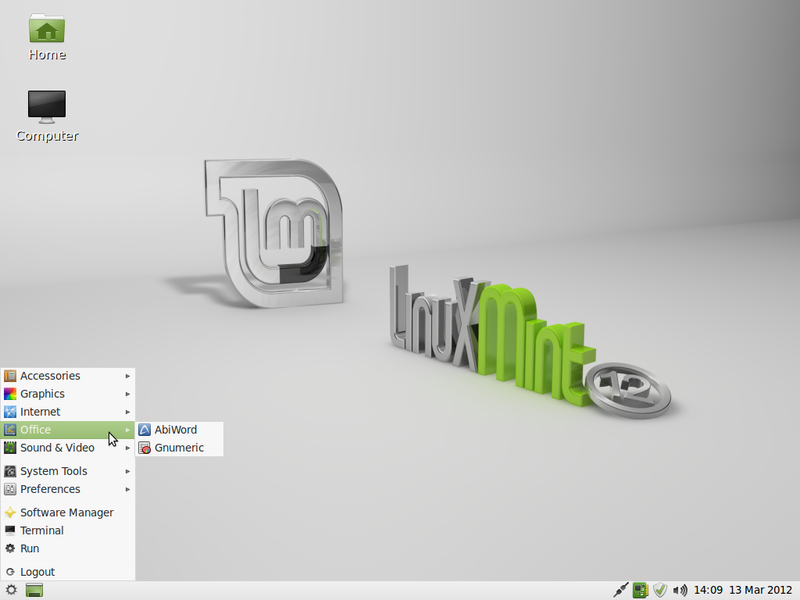 The latest release is Linux Mint 12 LXDE. If you currently use another edition of Linux Mint 12, like Linux Mint 12 KDE or Linux Mint 12 GNOME, you will find that there is very little difference, if any, in functionality between this LXDE edition and those other more popular editions, other than for some LXDE-specific applications. 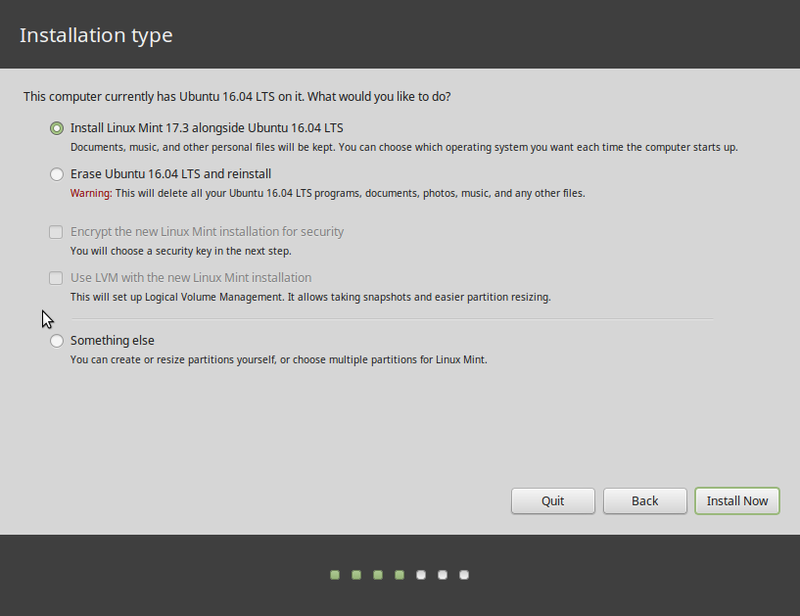 However, if you are new to Linux Mint, this brief review will take you through some of the features of this user-friendly desktop distribution. For starters, it is available as an installable Live CD ISO image. 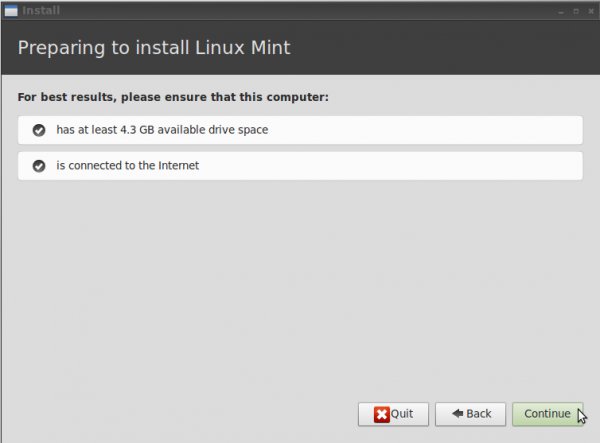 The installer sports a point-and-click interface, same as on other Linux Mint editions, with the minimum set of features that you need to install the system. 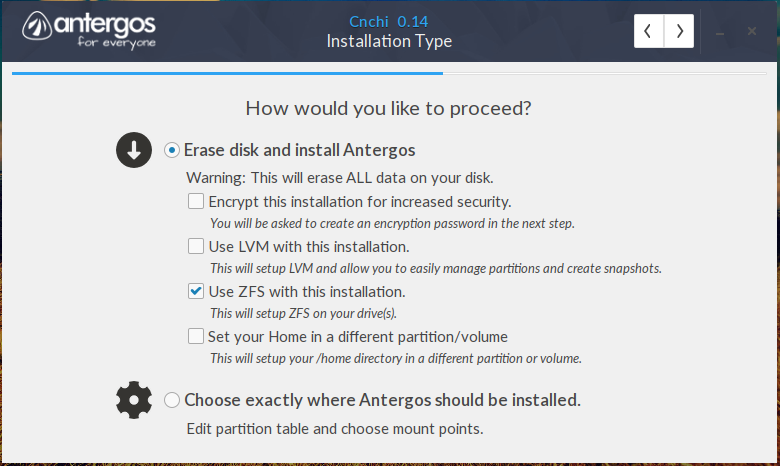 Do not expect to be able to install the system on a Linux Logical Volume Manager file system or with full disk encryption configured. Those features are not supported. You do have the option of encrypting your home folder, but not if it is on a separate partition. The installer will inform you that 4.1 GB of disk space is required for a default installation, though, the actual disk space used by a new installation is about 3.1 GB. 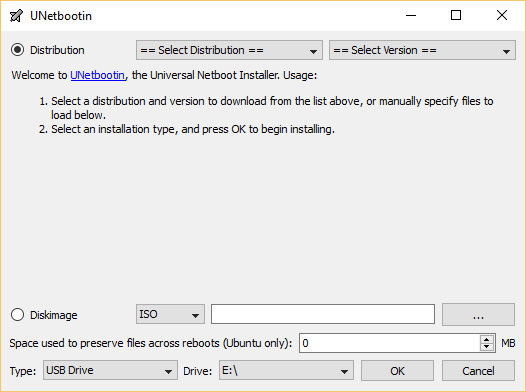 The installer’s automated feature will auto-partition your disk and install the system. 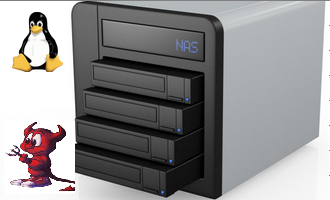 If necessary, it will also shrink the space used by an existing operating system on the target hard drive, and install the system. But if you like to create a custom set of partitions, the advanced partitioning tool, the main window of which is shown below, makes that possible. 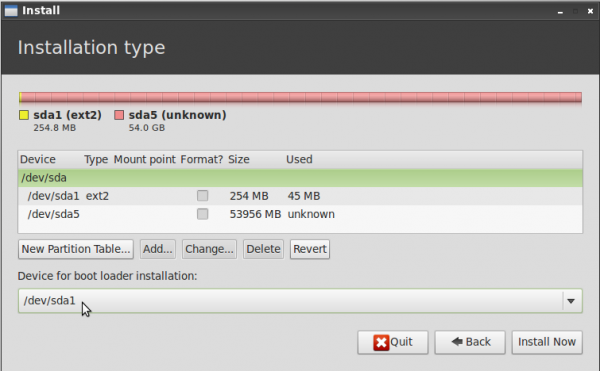 If you would like to do that, but are new to disk partitioning in Linux, guide to disks and disk partitions in Linux and manual disk partitioning guide for Linux Mint 11 are highly recommended. 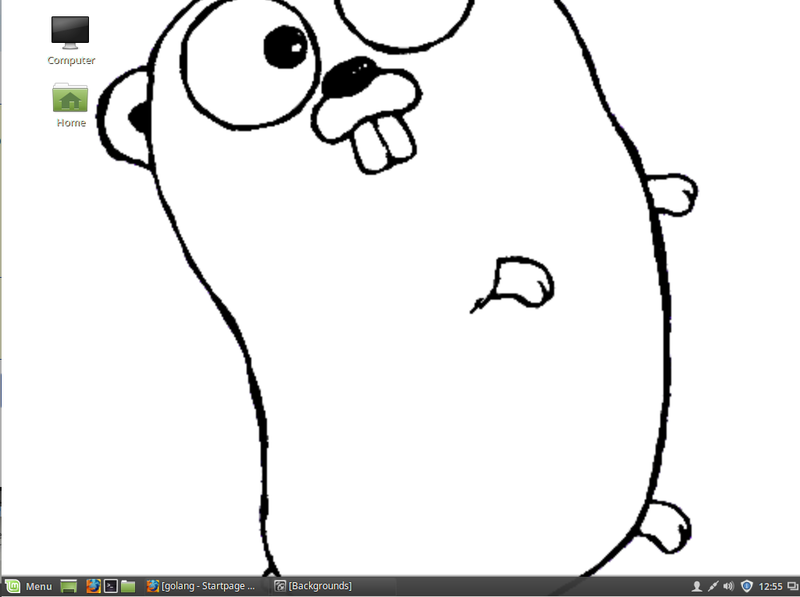 The desktop is very much like that of Xfce. The menu is the classic style, and does not have a search feature. The default wallpaper is ok, except that the logo to the left interferes with the beauty of the one to the right. The file manager, PCManFM, named after the online handle of Hon Jen Yee, its developer, is just like Thunar, the file manager of the GNOME Xfce desktop environment. 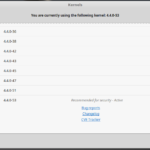 Like Thunar, it lacks many of the features of Dolphin and Konqueror, file managers for the K Desktop Environment (KDE). 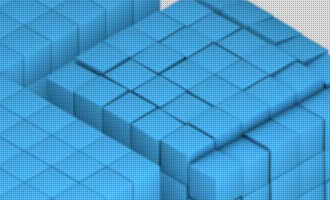 Since I like beautiful graphics, here is another look at the desktop. This time, sporting a different wallpaper. 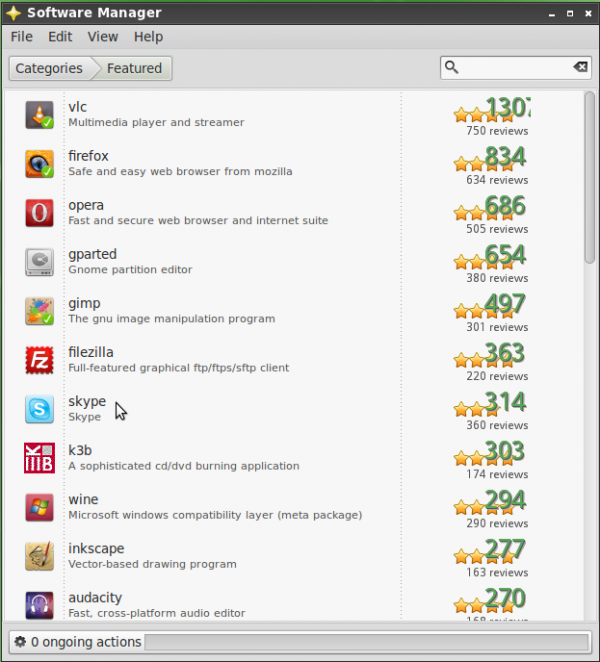 In terms of installed applications, Linux Mint 12 LXDE ships with just the bare minimum. There is no full office suite. Instead, you have AbiWord, a standalone word processor, and Gnumeric, a standalone spreadsheet application. Aside from those two, and other LXDE system tools and accessories, you will also find Banshee and Exaile music players, GNOME MPlayer and VLC media players, Pidgin Internet Messenger, Dropbox, Mozilla Thunderbird email client, and Firefox Web browser. A new installation ships with Firefox 7, but the update manager will have an update to Firefox 10 ready when you first boot into the system. 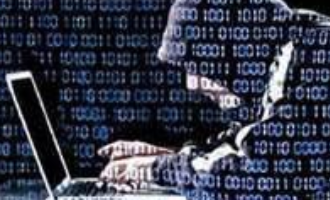 With libdvdcss installed out of the box, you will be able to play your favorite encrypted video DVDs using either VLC (preferred) or GNOME MPlayer. 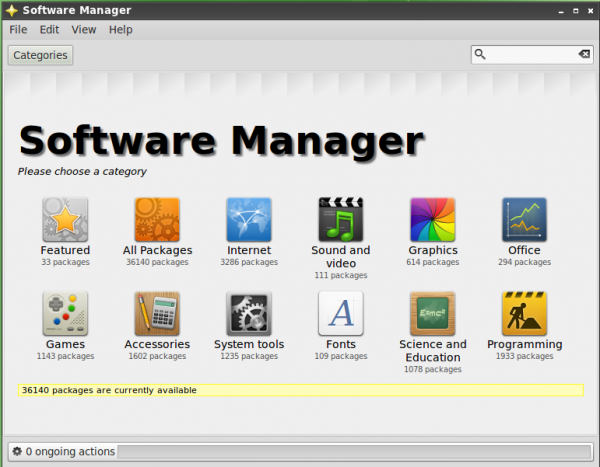 Any application not installed out of the box, can be installed using Software Manager, Linux Mint’s graphical software manager. 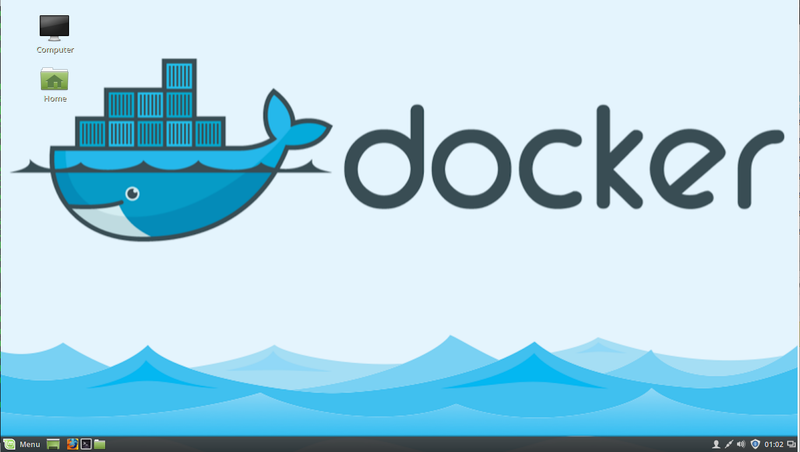 It is the user-friendly interface to apt-get, the command line application that is part of Debian’s Advanced Packaging Tool (APT). The main interface of Software Manager is shown below. This one show some of the featured applications installable via Software Manager. I tried linux mint because Ubuntu 11.10 was shite. Then the new less buggy Ubuntu 12.4 appeared and I liked it, but still not as much as 10.10. My first impression of Linux mint was I loved it. Then when I began to use it a little more I began to hate it why why why why is there soooooo much hassle associated with creating simple desktop shortcuts, what on earth was going through the tiny minds of the people who came up with such a ridiculous idea…… Dohhhhhhh!!!!! 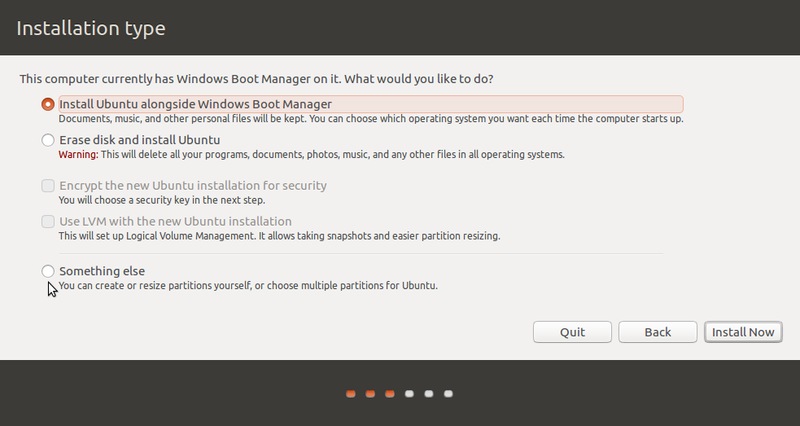 I’m going back to Ubuntu……. What at first appeared to be so promising was actually a very big disappointment. Is there any way to install Mint 12 LXDE on a disk with less than 4.2GB like in the 4GB SSD Asus Eee 701? Edit by Clem: Yes, it should work. It’s using about 2.7GB HDD. The main issue will be the screen resolution… you might need to move windows using the ALT key to move them with the mouse without using their title bar. very poor review of something, actually. Correct me if I’m wrong but don’t many Linux distros come with the firewall (ufw in this case) disabled? I’m sure Ubuntu does and cites this as a ‘completely-no-restrictions’ policy. So I think it unfair to suggest that Mint has security-issues because of this. UFW is one of the best Linux firewalls there is imo. I only wish there was a Fedora-port. Mint is wonderful I like it a lot. As for that thing UNITY…. maybe a good thing for tablets , iphones etc but for pcs, laptops and netbooks no wayyyyyy… Mint forever. not to mention that Mint requires googling around for a terminal command to install internet time updating for the clock. That’s not “lightweight”, it’s stupid. Uhhh since when is Thunar the file manager for Gnome? Since .. Never thats when. 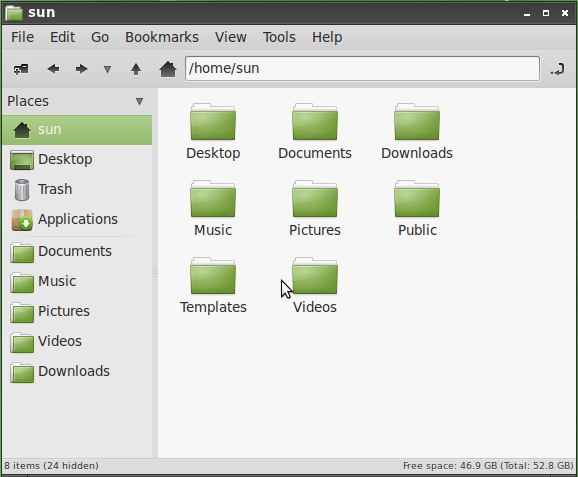 Thunar is the default file manager for Xfce desktop, Nautilus is the default file manager for Gnome, at least up to 2.x. One feature *I* really missed when trying out lxde edition of Mint, was samba browsing. I had to “sudo apt-get install gigolo”. Somehow, I almost always manage to mix that up. Yeah, bilious pink and bilious yellow are obnoxious too! change everything in seconds, you can do it too! Does Mint LXDE finally got any option to configure multiple keyboard layouts? Until they do it, I can’t use or even try LXDE by default. Man, Lxde is what I’ve switched too after using both Unity and Gnome3 and my life has never been happier. I started working as a manager at an IT department of a bank and don’t have the time nor the resources to fiddle with the “new” desktops. Will try to donate money to Lxde to express my gratitude for this wonderfull product. 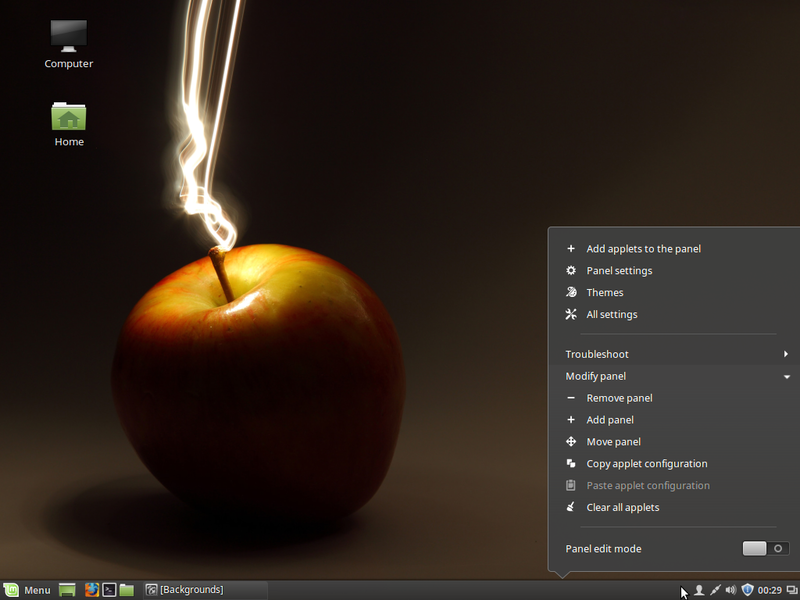 Linux Mint is a really great distro for the desktop! Looking at some of the trends on http://distrowatch.com/ seems like they are have bumped Ubuntu out of the number one spot after Ubuntu switched to unity desktop. I know Mint is said to be putting out some pretty decent stuff… but I just cannot stand all that bilious green. Yes, because you can’t change that wallpaper EVER. You should have read the whole article before posting.